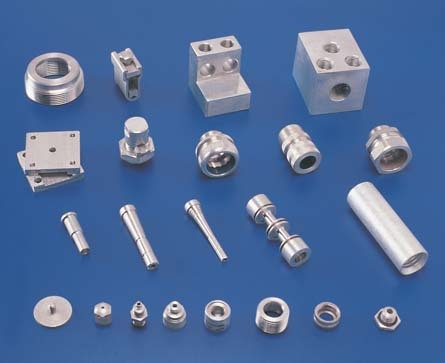 Aluminum parts for Pipe Fittings, Electrical , Automotive and Fastening use are offered by us. General Aluminum Turned parts as per customer's specifications are also available. we specialize in aluminum electrical connectors, Bushes Nuts Manifolds, Aluminume Conduit Fittings etc. Note :- Aluminum die-cast Components are also available.